The end result: your own private oasis, mere feet from the fridge. The process? Nearly as easy, provided you put thought into your deck building plans and take the time to think about how you’ll want to use your new entertaining/relaxing/al-fresco-everything living space. You’ll want to be able to tell your top rails from your balusters for sure, but it’s also time to consider some bigger questions, like how much space do you need to pull out the dining chairs? Does your town require architectural plans before permits? And what about a hot tub? When installing Transcend tropicals, mix and match all of the boards on the job site prior to installation to ensure an appealing mix of light and dark tones. Whether you’ll use your deck for big family BBQs or lazy-afternoon lounging, Trex makes it easy to design, draw up deck building plans and budget accordingly. G Decking: The decking boards that serve as the walking surface. 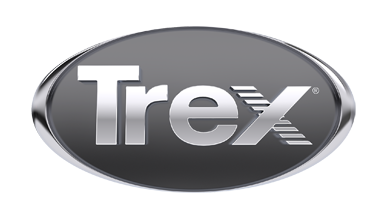 Order a decking sample to see why Trex is #1 in composite decking. Deck planning usually goes one of two ways: you have a framework with a little life left in it and only the top boards need a facelift. Or, you’re starting from the grass up and need a completely new deck. Whatever your plans for building a deck, Trex is the perfect solution, with myriad products that out deck wood at every stage.